It is tremendously essential to consume good nutrition in order to keep your eyes in good physical shape and working their greatest throughout your lifespan. Science has discovered two vital nutrients that could decrease the risk for macular degeneration and cataracts through the usage of “Lutein” and “Zeaxanthin”. Where are these nutrients found? Lutein and zeaxanthin are basically the kinds of carotenoids; they are some yellow to red pigments that are found extensively in vegetables and plants. However Lutein is a yellow pigment, it is in high concentration and seems orange-red. Additionally, these vital nutrients can be found in various types of green leafy as well as colorful fruits and vegetables. These nutrients work in high concentration inside the human eye’s macula, offering them the yellowish color! Moreover, there are great vision benefits; Lutein can help defend in contradiction of atherosclerosis, the disease that could lead to heart strokes. 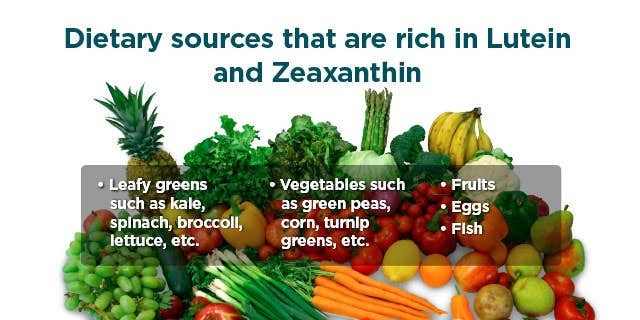 Some Great Benefits of Lutein and Zeaxanthin! 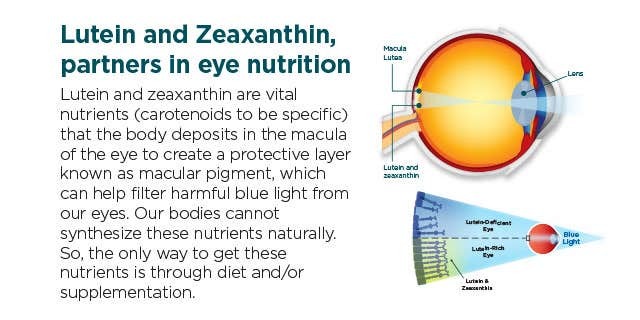 It is greatly assumed that Lutein and zeaxanthin in our eye’s macula avoids blue light from entering the internal retina, aiming to reduce the possibility of light-induced damage that could become the reason to having Age-related macular degeneration (AMD). The super foods with great amount of Lutein and zeaxanthin are of course the green leafy vegetables and green vegetables. 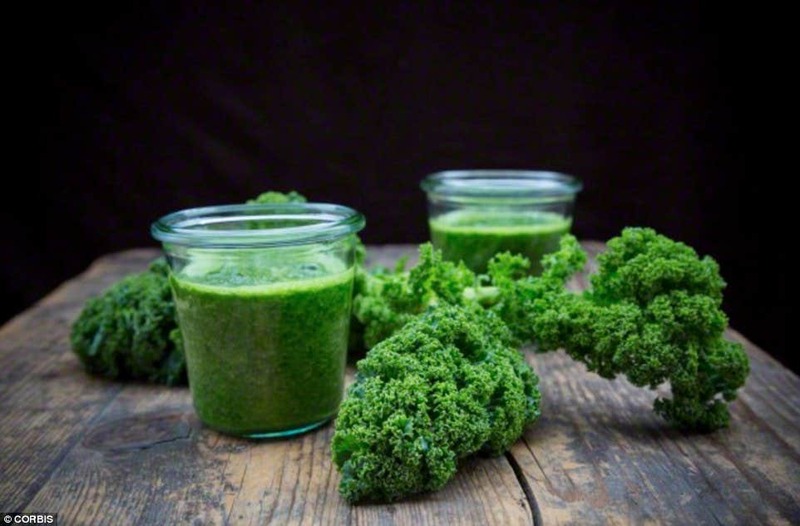 Included in these are cooked kale and spinach that tops the list. Non-vegetarian sources include egg yolks. If a person has a problem of high cholesterol, you can definitely opt for the other options such as yellow & green fruits and vegetables. Keeping in mind the excessive eye benefits of Lutein and zeaxanthin, most of the nutritional companies have made use of supplementary carotenoids to their vitamin procedures. Some of them have introduced distinctive eye vitamins that are mostly Lutein and zeaxanthin add-ons. At this time, there is not any Recommended Daily Intake (RDI) regarding Lutein or zeaxanthin consumption, but some professionals suggest that one must consume at least 6 milligrams (mg) of Lutein every day for positive effects. 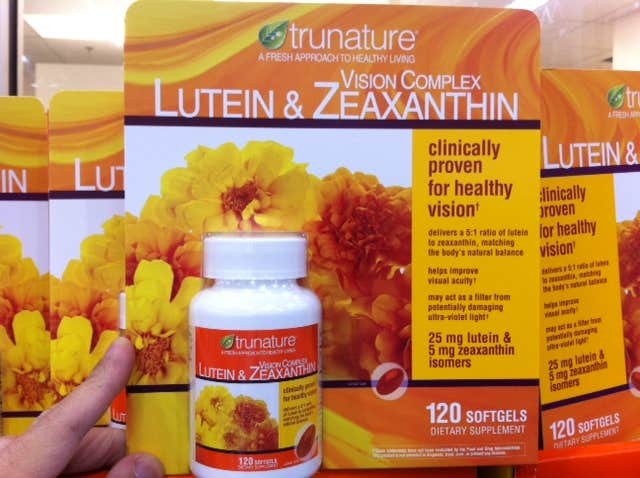 The main source of Lutein is marigold flowers used in most of the Lutein supplements. For zeaxanthin, they frequently utilize red peppers. For anyone deciding to start consuming these supplements, ensure first that it's of well-approved product from a well-reputed nutritional supplement company. Remember that if someone who is taking the above mentioned supplements is not an easy alternate to a healthy diet. You must continue taking well-balanced diet, and eat enough fruits and vegetables, which is surely the best way to acquire vital eye nutrients. 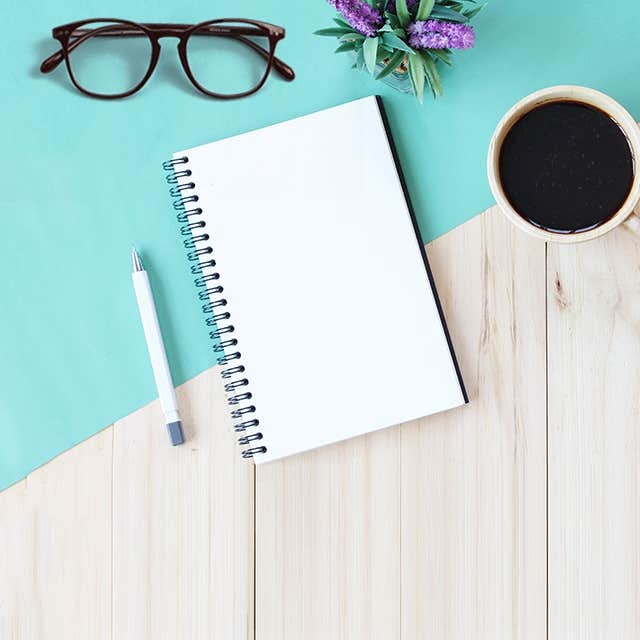 Also, make use of best quality prescription eyeglasses to maintain great vision!